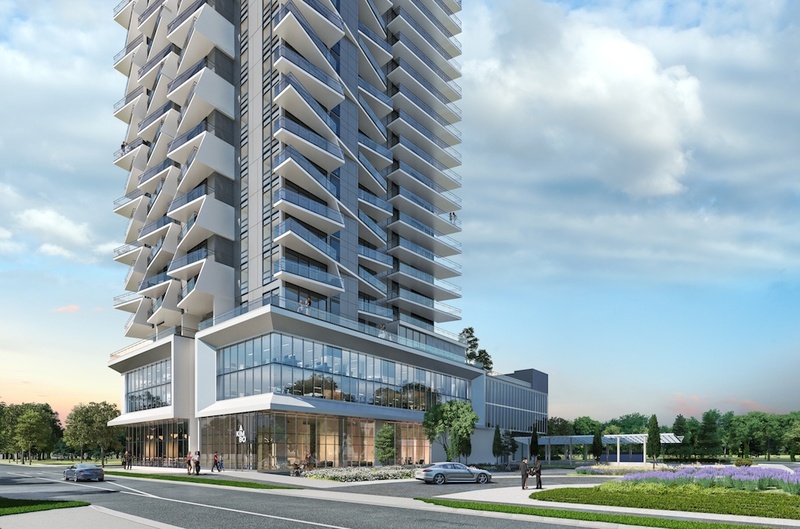 Another tower emerging from Burnaby’s Brentwood Town Centre promises to deliver an architecturally-enhanced addition to the area’s rapidly growing skyline. 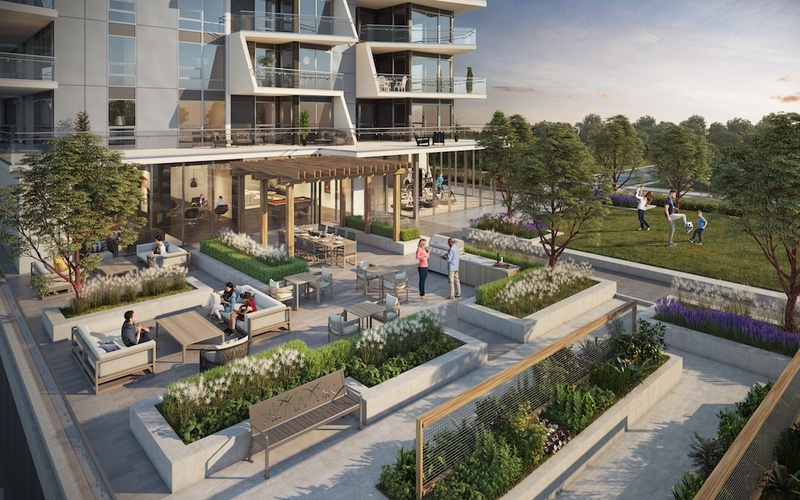 Local developer Imani Development’s project at 4285 Dawson Street — dubbed ‘Akimbo’ — has been approved by Burnaby City Council and is now in the building permitting process, which is expected to be finalized in June 2019. If all goes as planned, the building should reach completion in 2022. 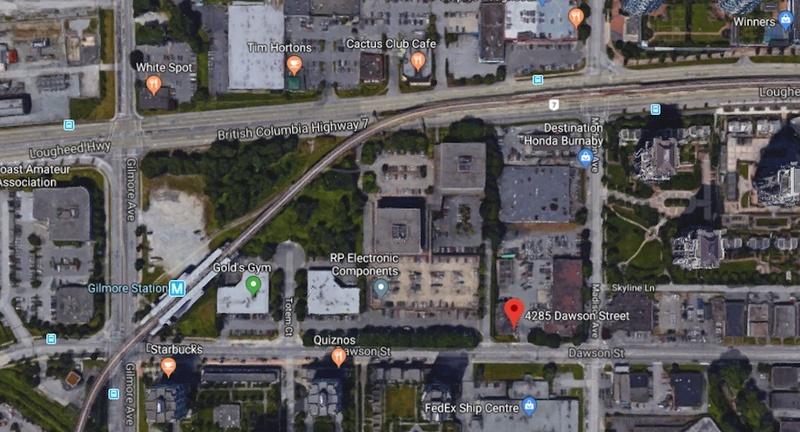 The development site is located near SkyTrain’s Gilmore Station, and will be one of the largest towers in the cluster growing around this particular transit hub. 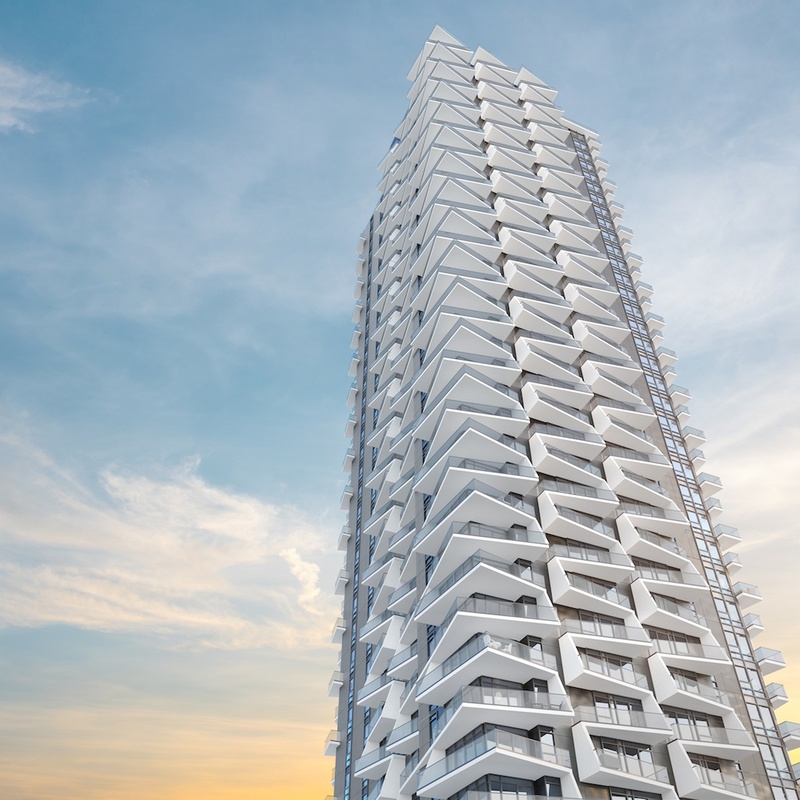 Designed by IBI Group, the 40-storey project’s architectural definition is marked by its angled, offset balconies that wrap the height of the building. The residential amenity spaces created by the protruding balconies are significant: the smallest balcony has a floor area of 95 sq. ft. 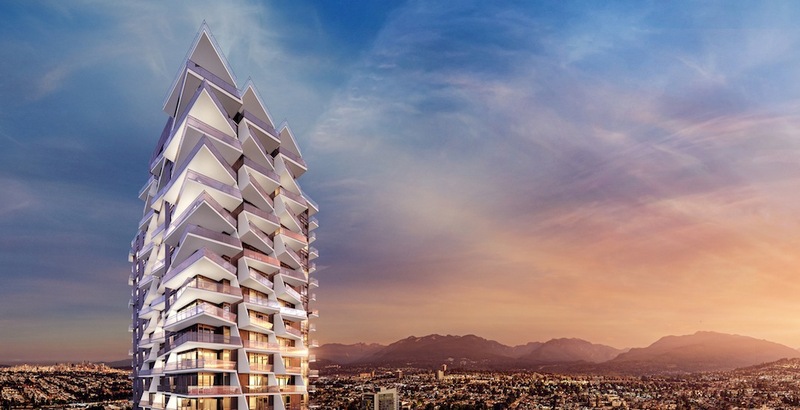 Altogether, there will be 350 homes, two floors of office space, and ground-floor retail space. 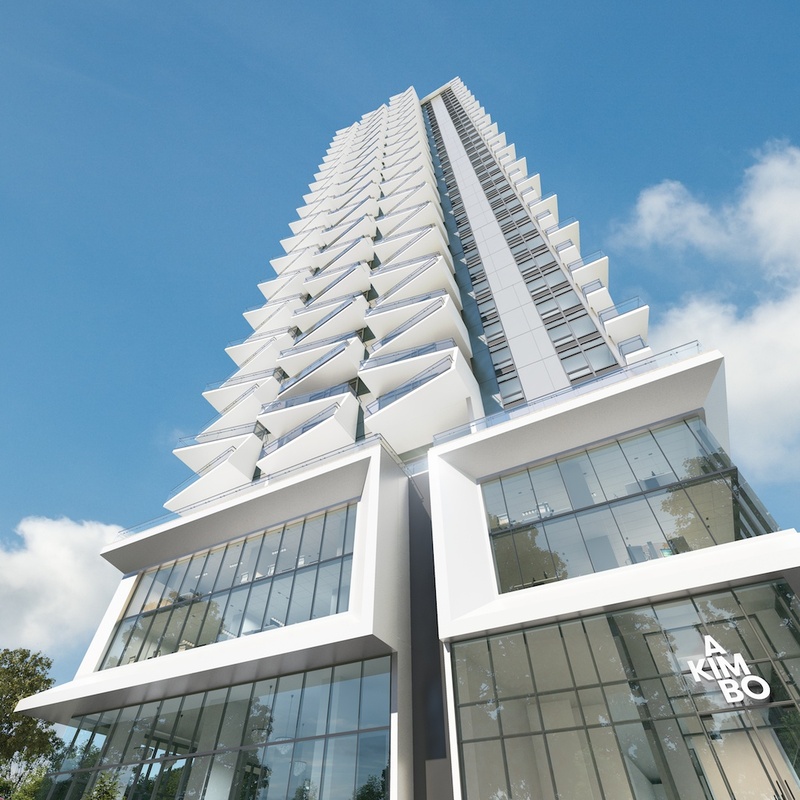 Akimbo is adjacent to Onni Group’s Gilmore Place, which will be built around Gilmore Station. When all phases are complete, the area will have about 3,500 homes spread over 2.7 million sq. 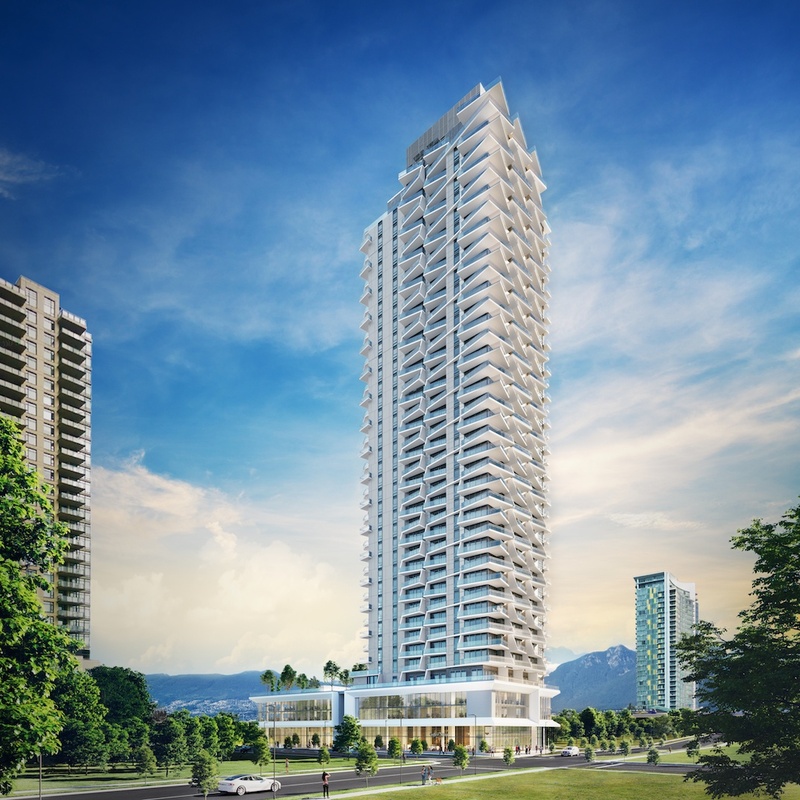 ft. of residential floor area within a total of seven towers, including Metro Vancouver’s new tallest building — a tower over 700 ft. There will also be 450,000-sq-ft of retail space and over one million-sq-ft of office space. 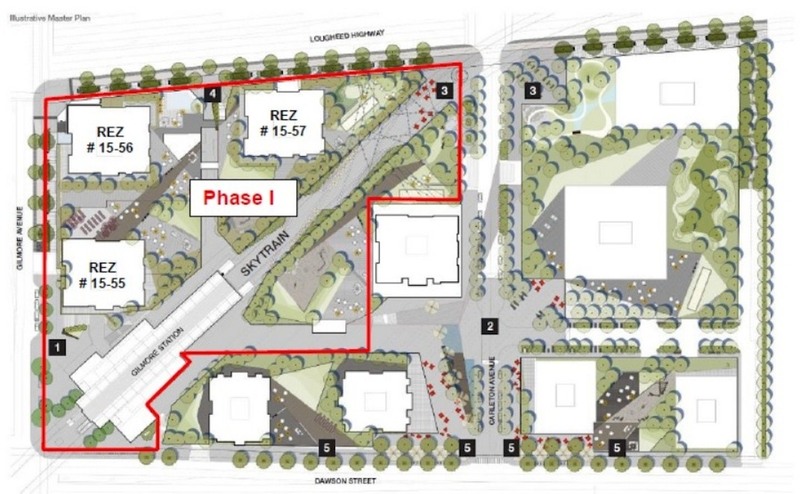 This does not include the density in the area created by The Amazing Brentwood, Concord Brentwood, and a number of other major redevelopments — proposed, planned, and under construction.